The number of accessories compatible with Apple’s HomeKit home automation framework has been slowly growing, with lighting accessories leading the way. 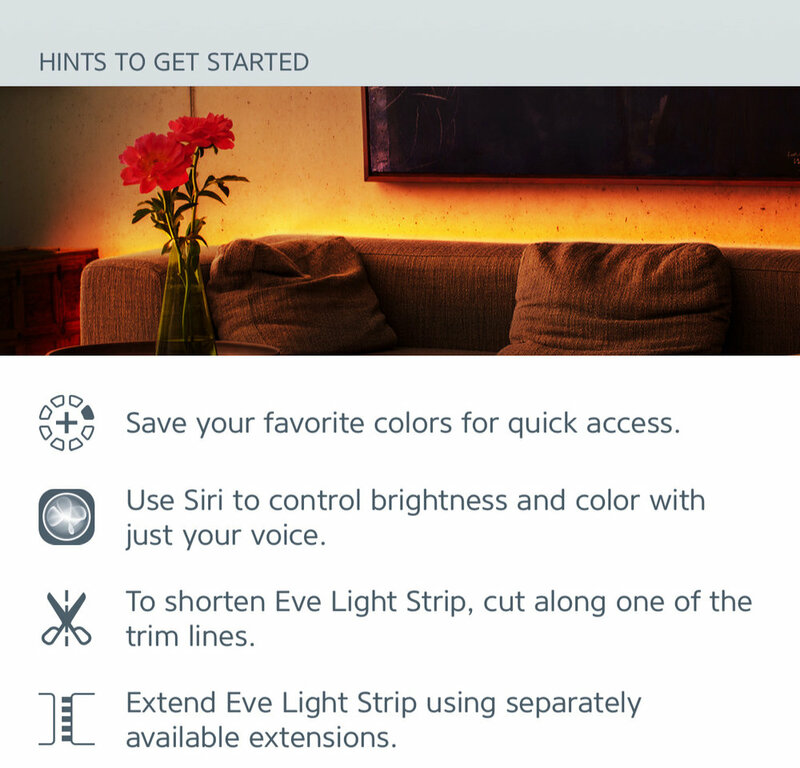 Today we’re looking at a bright and colorful addition to the world of HomeKit: the US$79.95 Eve Light Strip (Amazon affiliate link). 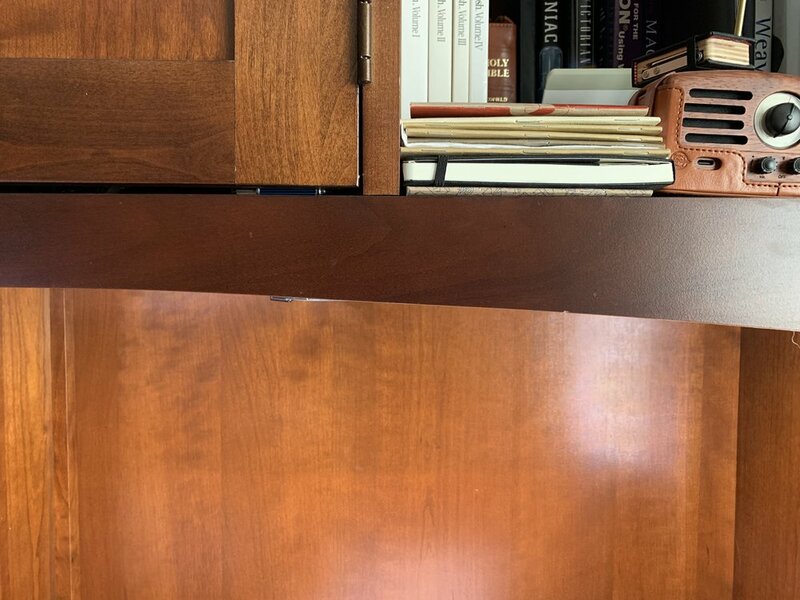 My compadre Dennis did a review of this accessory about two months ago, but we’re all about getting our readers the widest possible range of reviews for products. Light strips are a fun way to add lighting to locations you might not have considered in the past. LEDs are embedded into a flexible plastic strip that features a sticky-back material for attaching the strip onto walls or other surfaces. They’re useful for under-cabinet lighting, accent lighting behind a TV or behind a couch, or even in unique places like the bottom of stair banisters. The Eve Light Strip comes in one length — 6.6 feet (2m), but can be shortened by cutting in designated places or lengthened up to 33 feet (10m) by adding extension kits (they’re $44.99 each, Amazon affiliate link). There’s a small AC adapter used to power the Light Strip included with the device. Eve (formerly part of Elgato) is making sure that people are aware of the security issues of competing home automation products by pointing out that there is no cloud storage of personal information and that HomeKit is designed from the ground up to be secure. To get a good mix of color, the strip uses three LEDs in each section. It does a pretty decent job of matching colors to the app. HomeKit accessories are incredibly easy to set up, and the Eve Light Strip was no exception. If you already own other Eve accessories like the Eve Energy Smart Plug ($47.99, Amazon affiliate link), you can use the Eve app or Apple’s Home app for setup. The peel-and-stick backing on the Light Strip is strong and you’ll have no problems with the strip falling off the surface you stick it to. I decided to try the Light Strip as a desk light as the small light I have has always been insufficient. I ran the strip under the top of a hutch where it is hidden, and now I have plenty of light from the LEDs. I can even change colors on a whim, like green for St. Patrick’s Day (too late!) or a bright yellow-white for those dreary winter days. The Eve app provides full control of the color and intensity of the light produced by the LEDs. There are separate panes for colors and “whites” — white can be set to a variety of wavelengths to make light “warmer” or “cooler” (more orange or more blue). I like the fact that the on-off button on the “At A Glance” screen displays the current color setting when tapped. A long push on the button brings up the color adjustment screen. Siri can also be used to control the Light Strip. Just asking Siri to “Change the Eve Light Strip (or whatever name you’ve given it) color to red/white/green/blue/purple/etc…” gets a quick response from both Siri and the Light Strip. My main beef with the Eve Light Strip is the price. 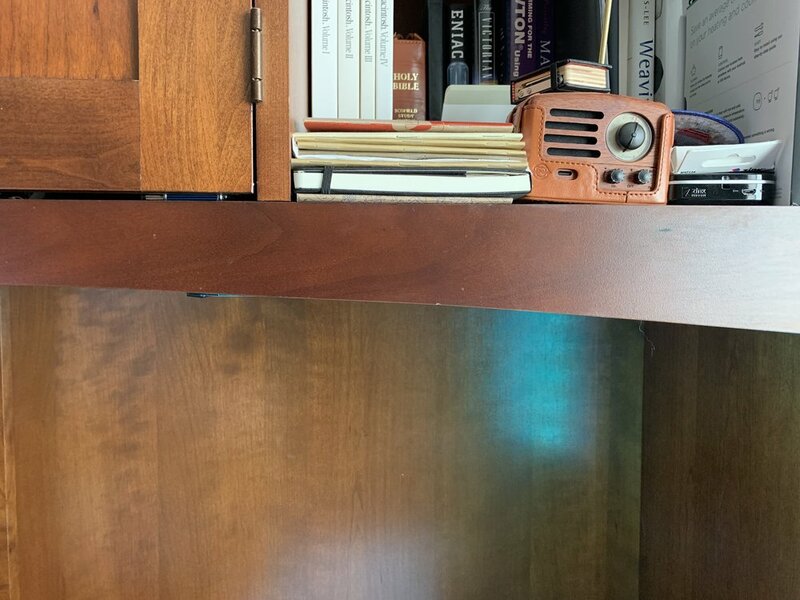 It’s possible to purchase almost identical light strips for much less on Amazon — the Koogeek Light Strip we reviewed last year is virtually indistinguishable from the Eve Light Strip and also includes HomeKit compatibility, yet costs only $39.99. There’s also a physical change I wish Eve would consider: while the cable between the AC adapter and the control box is nice and long, the ribbon cable between the control box and the light strip is only about six inches long. Some extra length in that cable would be useful.